In 1988, Mark B. Weisser and his partner Scott A. Wolf established Weisser & Wolf — a premier personal injury and workers compensation law firm serving Cincinnati, Milford and northern Kentucky. 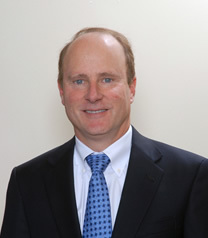 With 28 years’ experience, Mark is well-respected as an authority on personal injury and workers compensation law. He is one of the first attorneys to be certified as a specialist in workers compensation law by the Ohio State Bar Association. For 10 years he taught courses in Ohio workers compensation law as an adjunct professor at Chase College of Law in northern Kentucky. He regularly appears as a guest lecturer on Ohio workers compensation law and personal injury law at seminars sponsored by the Ohio State Bar Association and the Cincinnati Bar Association. His extensive achievements have been recognized by his peers in the legal community. He has been AV®Preeminent™ Peer Review RatedSM by Martindale Hubbell®, which attests to his exceptional legal ability and adherence to professional standards of ethics. Mark was named a Super Lawyer every year between 2008 and 2012. Mark has also been admitted as a member to the Multi-Million Dollar Advocates Forum™, an exclusive group of lawyers who have achieved a verdict or settlement in excess of $2 million. He appears regularly before the Industrial Commission, Ohio state courts, Kentucky state courts, U.S. District Court for the Southern District of Ohio and the 6th Circuit Court of Appeals. Recently Mark obtained a multi-million dollar verdict in a medical malpractice claim and a multi-million dollar settlement in a complex product liability case arising out of a construction accident. In 2010, Mark acted as lead attorney in an electrical injury case involving a local utility company, which resulted in a multi-million dollar settlement. Mark was born and raised in Cincinnati and he has remained in the region since graduating from Walnut Hills High School. He and his wife are raising two children and are involved with local charities. The Cincinnati injury lawyers of Weisser & Wolf represents clients throughout northern Kentucky and Ohio, including Hamilton, Butler, Clermont and Warren counties.